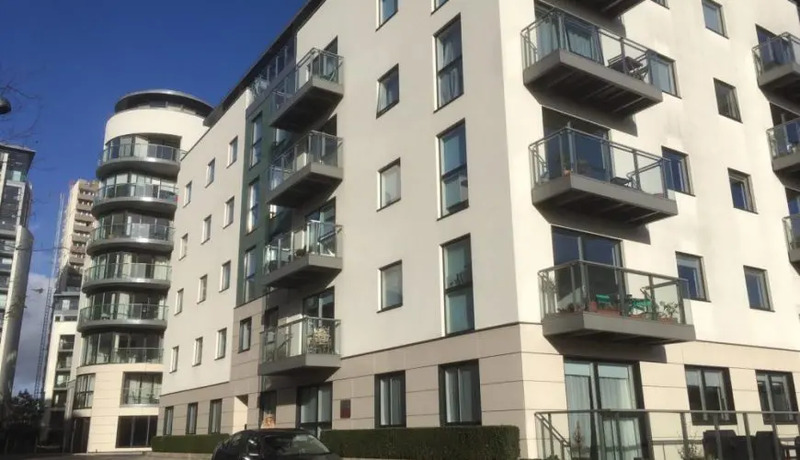 Kew Bridge West is a collection of one, two and three-bedroom apartments, all with large terraces or balconies. 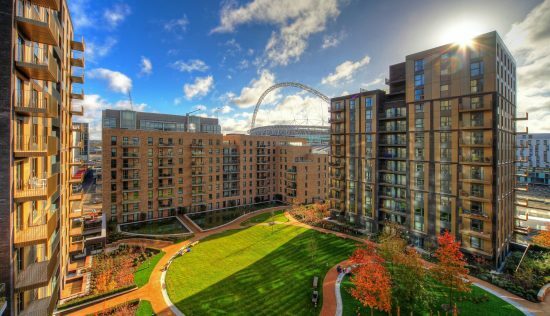 The outside space is a fantastic addition to these already impressive apartments, given the location of the West London development. Homes brag views over the River Thames and Kew, as well as the local area of Brentford, which feels far more like a village than the quick commuting times into London would lead residents to believe. 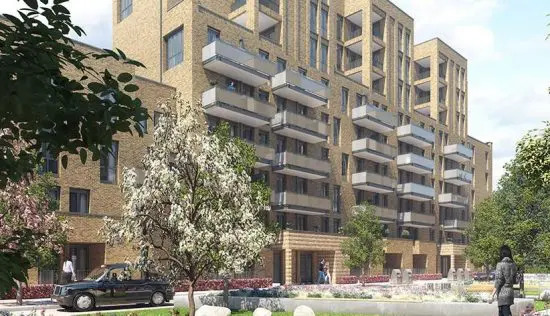 And with Kew Gardens, Kew Green and the beautiful Syon Park in close vicinity, this development is in one of London’s leafiest places. The architects of the development have clearly tried to build Kew Bridge West in line with the wider area. This has resulted in the huge communal gardens as well as the unique, illuminated water feature that makes returning home to the development a pleasure. And that’s before residents even step inside their homes, which come with spacious interiors, open-plan layouts and fantastic views. Kitchens and bathrooms have all the necessary mod-cons, and are finished in a minimalist design. 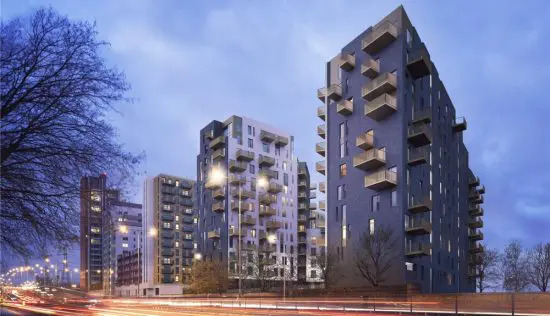 Kew Bridge West boasts underground parking in addition to a private gym and a 24-hour concierge. 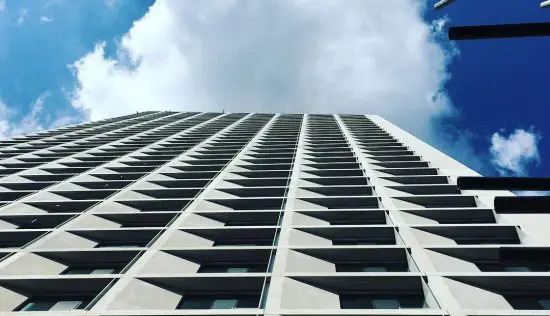 The gym has floor-to-ceiling windows, much like the apartments themselves, so residents don’t have to trek to a windowless basement for a work-out. There’s also a helpful concierge service for tasks like letting in guests or taking deliveries while residents are out. In terms of transport links, the mainline railway Kew Bridge is close by with quick links links to Waterloo. Gunnersbury tube station is also walkable, and serves as an Overground station. Last, but not least, Heathrow is a short drive away as well as the M4, so residents can get out of London with ease when necessary. There is a gym, concierge and on site parking. Beautiful apartments with the ‘wow’ factor. Good public transport links into central London, but also access to the lovely areas of Kew, Richmond and Chiswick. Modern apartments with stylish themes. Well worth a peek! Reasonable local amenities with good transport links. A bit like a tardis, where lots of residents come and go. 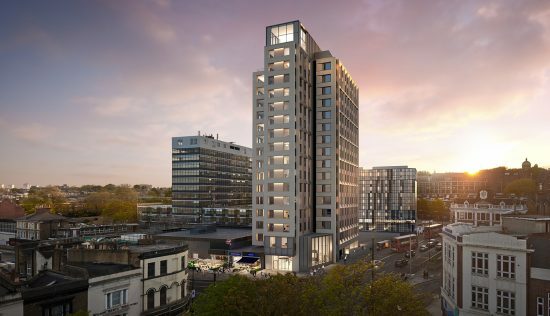 I have lived in Kew Bridge West with my family since its completion in 2015. Fantastic development. 24h concierge, residents’ gym, underground parking, unique views of London from Hyperion Tower, excellent communal gated area with nice gardens, outdoor furniture and lovely fountains. Conveniently near to Kew Bridge station but a lot of traffic due to only one lane towards Chiswick roundabout. Limited visitor bays for cars (only 8)!! !